Hampshire County Council is leading the way by piloting Amazon’s Echo and Alexa software to support people to live independently. The Amazon Echo is a voice-controlled, hands-free speaker. It uses the Alexa Voice Service to search the internet, play music, share the news and more, with the use of a simple command ‘Alexa’ to wake it up. Alexa is able to learn new functionality and skills and is designed to adapt to personal preferences, vocabulary and speech patterns. PA Consulting, which leads the Argenti Telehealthcare Partnership, and Hampshire County Council, whose care technology services are managed by Argenti, are working on a pilot to trial Alexa in social care. The pilot will trial and refine one skill that PA already had in development, which links Alexa with alerts on a digital device, such as an electronic picture frame and prompts users. It will also develop a new skill to support the entry of a care worker into an individual’s home, ideally including prior identification of the care worker and the ability to log in and out. It will test the feasibility of integration with the homecare rostering system. Finally, it will forecast, measure and establish approaches to track the benefits of both skills, to encompass financial savings, as well as improvements perceived by clients and staff. Alexa will listen to clients’ questions and speak the answers. Steve explained, ‘Speech is human beings’ preferred method of communication, so we hope this interaction will feel natural and warm. Alexa is not a person though, it cannot replace human to human interaction; that is not the aim. ‘Defining the user cohort and need is key; we always seek to start with the problem rather than the technology. We know that medication adherence is an issue for many and that poor adherence can have serious consequences; we also know people can become worried or confused when a care worker is late, so we plan to focus on these first. It is hoped that the devices and skills will be trialled in the homes of 50 of Hampshire’s adult social care clients by the end of 2017, with evaluation taking place in spring 2018. There are obvious benefits to be gained from using Alexa. Steve continued, ‘It provides a route for delivering support in a way that can be seamlessly integrated in people’s lives. The fact that a device like Echo does so many other things: provides the news and weather, plays music, tells jokes, reads stories and so on, makes it desirable and useful in a range of ways. ‘We need to develop a series of expected and measurable outcomes and benefits to test the effectiveness of the pilot. The evidence that Alexa works in the desired way will be essential if we are to expand provision in the future. Benefits will be measured in qualitative terms (user satisfaction) and quantitative terms (tracking actual usage and estimating if and where other costs of care have been reduced or avoided). The pilot isn’t without its challenges, though. The skills will need to work as intended every time, ownership and use of data will also have to be clear. There are practical considerations at client level too: do they have broadband and are they willing to have an Amazon account? Looking to the future, Alexa’s capabilities and limitations are being explored and the team will look at other roles it might play. Steve continued, ‘A consumer device, which can do many different things out of the box would be a tremendous way to seamlessly integrate services, like emergency calls and falls detection, into people’s lives; sitting in the background and ready to respond when needed. ‘As we look further down the road, there’s the challenge of getting the service “wrap” right. For example, who will respond if a vulnerable person calls for help through an Echo? ‘However, even if this pilot is a roaring success, I’m not going to suggest that everyone with a care need should get an Echo; that’s just not the way personalised care works. As we see new technology being deployed in ways perhaps not envisaged even by its developers, more people will start to perceive how they could benefit in their own circumstances. What are your thoughts on this new pilot? Do you think there are other social care applications? What challenges would this bring? Does this open the door for mainstream technology companies to disrupt the care sector? 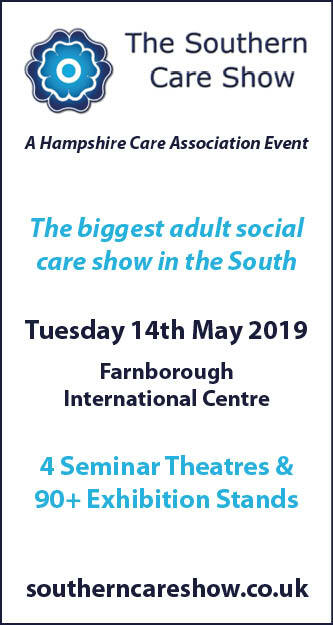 Agincare is working with Argenti and Hampshire County Council to support the realisation of this pilot, as we see some practical applications that may assist people in their homes and promote independence. We want people who use our services to have an early opportunity to help develop and test these. We believe that this pilot has scope to assist with the prompting of medication or myriad other reminders, such as eating, drinking or turning on heating. In addition, a challenge in homecare is keeping people adequately informed of arrival times of their care staff, given delays caused by road works or the need for staff to sometimes stay longer with people due to illness or accidents. Our staff do their best to keep people informed, but if it is possible to interface with the electronic monitoring required by Hampshire County Council, Alexa could keep people informed as to who their care worker is and their likely time of arrival; even perhaps help the hard of hearing or the infirm have advance notice that they are about to arrive to give them more time to answer the door. Assuming the challenge of interfacing various systems effectively can be overcome, then technology has an important part to play in social care. However, we cannot forget that the single most important part of a care service to most people is human interaction. 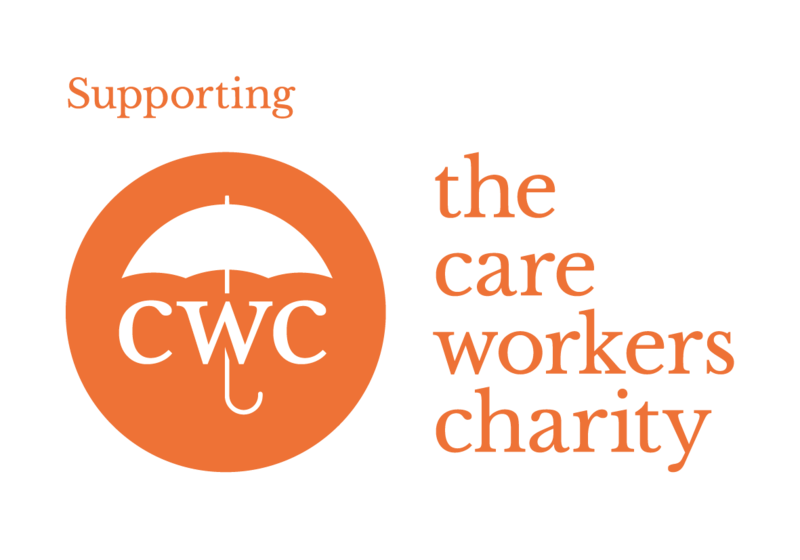 Sadly, due to lack of money, there seems little time for this in funded homecare now; with most local authorities only able to fund care for people with critical or substantial needs, which requires a real person to visit. Perhaps in 10 years’ time, we’ll be asking if there can be such a thing as robotic personal care. 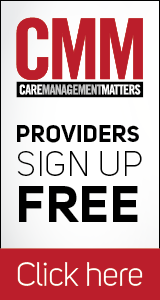 RemindMeCare is exploring adding voice to its software to assist care and management. For the hope for ‘voice’ is that it provides an intuitive interface for people with limited computer experience. The flipside is that the apparent ‘naturalness’ often results in end users assuming the system is far more capable than it really is. This can lead to disappointment and eventually rejection of the system. Therefore, expectation management and a sensitive introductory phase for the technology is critical. Voice is not a miracle solution for engaging end users to complete the same process-driven tasks that the telecare industry had difficulties with delivering. Cultural understanding, personal preferences and history are even more important sensitivities where a dialogue with an artificial intelligence agent is concerned. The wreckage of earlier ‘revolutionary’ technologies litter the road to personalised care delivery, however the excitement about spoken interfaces is justified. That’s why we’re holding the ‘Talking Healthcare – Using voice tech to improve care’ conference to explore who’s doing what and how with voice in healthcare. The much sought-after transformation in healthcare, in which technology is expected to play a fundamental role, needs to involve an effective integration of the many new innovations; including the Internet of Things, wearables, big data, virtual reality and voice. These need integration into an ecosystem that enables the consumer to easily improve care provision and not just be bewildered into confused non-adoption. We hope to start a dialogue that brings voice to the forefront of innovation across the care sector. Use of modern technology to improve quality of life is something to be encouraged, so long as it is being done to improve quality of life and not to abdicate social responsibilities. In this Alexa trial, there are a number of concerns that I have. The first is that if this initiative is being used primarily to reduce cost, it will be used to reduce the number of hours care that an elderly or isolated person will be allocated. Humans are designed for social interaction – which is why we join together into villages, towns and cities. We thrive on interaction with other people, and for many elderly people receiving care in their home, the only human interaction they receive is from their care workers. The second concern is how elderly people will react to being ‘told’ what to do by Alexa. Having had a similar device for a number of months in our home, we have changed from saying ‘OK Google, turn the radio off please’ to ‘OK Google, shut-up’ – because the second phrase is more reliable. If Alexa behaves similarly, and this is the primary interaction people have with the outside world, then it could lead to frustration and possibly behaviour changes leading to increased episodes of challenging behaviour. Hopefully, the trial will identify some ways to reduce social isolation, possibly by connecting like-minded people and creating virtual villages, but there is no better way for humans to interact than face-to-face, sharing food or a cup of tea. I suspect this is what most elderly people yearn for more than a computer telling them what to do.